Dedicated home theater projects can be a massive undertaking requiring speaker systems custom-made to fit a specific installation. 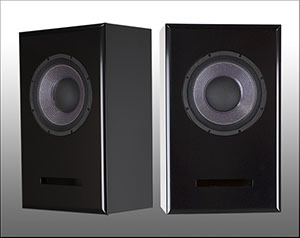 Many times, these will be high-efficiency type speakers that are normally not the kind used in a typical music or multi-use system. For individuals, designers or custom installers undertaking this type of project, we can help design and build custom speaker installations based on your specific requirements. Feel free to contact us to discuss and review your specific requirements.